Joy (jct263) is a sophomore from North Carolina, majoring in Electrical & Computer Engineering and minoring in Operations Research & Information Engineering. In her free time, she likes to read and watch A LOT of TV, movie, and anime. You’ll find that she constantly jams to classic rock and will always be down for ice cream no matter the weather. She’s also a huge fan of Marvel and DC, so if you ever want a 3 hour long superhero theory rant, she’s the one to go to. She loves Project Hope and HOPEs everyone will have a chance to get involved! Joyce (jl2625​) is a sophomore from New York City who is currently a Biological Sciences major, pre-med, in the College of Arts and Sciences (you will often find her in the Physical Sciences Building bumming around). She is a bit of a geek and enjoys K-pop and watching Korean dramas, but she has recently been really into watching anime. Joyce also loves fantasy/science-fiction/action films and listening to movie/show soundtracks. She might seem a bit quiet at first but she loves talking to people and ranting so feel free to talk to her about anything, Project Hope-related or not! ​Megan (mel267) is a junior currently in government major. She enjoys reading, writing, eating, sleeping, and dancing in Illuminations with Ella and Kiana. You can find her very calm regardless of any frantic situation. She hopes to be a lawyer in the future, but we will see hah! Ada (az436​) is a sophomore from Boston MA studying animal science. She hopes to go to vet school after graduation. Her main hobby is watching TV. She loves watching all kinds of shows, but especially Korean and Chinese dramas. She plays the flute but is no longer part of Cornell Orchestras. She thinks you should join Project Hope because it’s lit. Alana (az395​) is one of the two publicity chairs. She is a junior in Biological Sciences with a concentration in Molecular and Cell Bio, and surprisingly still on the pre-med track. She prides on being California born-and-raised, but in reality, she's just maladapted to the harsh winters of Ithaca. When her time isn’t consumed by genetics, biochem, and physics, she likes to draw, cook Chinese food, and nap, of which can be up to 3 times a day, ranging from 15 mins to 4 hrs. Although a Bio Major, Alana can always be found in Statler, eating lunch at Terrace and Mac’s or at work at Nestle Library front desk. Make sure to say hi if you ever pass by! Maple (mnc45) is a freshman studying biomedical engineering. She loves cats and green tea, and is also involved in Cornell Symphony Orchestra as a violinist and is on Engineers for a Sustainable World: Biofuels! Maple’s interests include (but are not limited to) Grey’s Anatomy, TwoSet Violin, and eating Awake Chocolates. Haiying (hw534) is a freshman from Brooklyn, NY in the College of Engineering. She was originally planning to major in ChemE but is now undecided after taking CHEM 2150. In her free time, she likes to paint and bike, except she can’t bike in the hilly roads of Ithaca. Most of her time is wasted on social media. Her only hope for this semester is that she can sleep more but she’s been sleeping less. Keying (kl563) is a freshman from Brooklyn NY studying Mechanical Engineering. She loves arts and crafts, from polymer clay, knitting, needle felting, painting... she wants to try out all of the crafting skills out there! She also loves dogs, there was a point in her life where she watched all of the dogs 101 episodes from Animal Planet and memorized the name of most dog breeds. Kaibo (kc627) is a junior bio major who is fed up with never-ending course requirements. He currently has a packed schedule of napping, complaining about work, calling others out for complaining, and roasting Ella. In his free time he likes giving mediocre advice to e-board members, and pretending to be wholesome. Ella (efl43) is one of the three senior advisors in Human Development major. She is known for eating a lot, so if you ever have any food to offer, feel free to feed her. Her favorite foods are cakes, bubble teas, and meats. On days where she is not busy with school and her dance club Illuminations, she likes to sleep, read/watch manga & dramas, eat, and binge read novels. 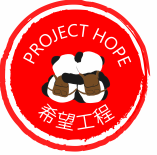 As a previous vice-president of Project Hope, she can help you in anything PHope related so feel free to talk to her. She is friendly so feel free to approach her. Frances Yufen Lee Mehta (yl43) received an M.A. in Language Acquisition from Brigham Young University, TESL diploma from Brigham Young University and Taiwan Normal University, and her B.A. in English Literature from Chung Hsing University, Taiwan. She joined the Cornell faculty in 1994. Prior to that, she headed the Chinese program in the Department of Foreign Languages at Utah Valley State College. Ms. Mehta currently teaches Chinese 1109-1110 (Beginning Chinese Reading and Writing for Students of Chinese Heritage) and 3301-3302 (High Intermediate Mandarin).